AGA Stoves are large, enamelled cast iron stoves with ovens and top hot plates that run at different, pre-set temperatures. Traditionally, there were no switches, dials, temperature gauges or burners on the stove, and the stoves were always on. Most of the AGA Stove models come with two hot plates on top that take the place of what we now might call “burners” on modern stoves. One of the plates is for simmering, the other for boiling. Each plate can hold up to three saucepans at a time on it. The plates are covered with hinged, insulated lids that retain the constant heat in when you swing them down onto the hot plates not in use. When the covers are closed, the covers get mildly warm, and can be used for laying clothes on to dry. All covers have a distinctive, coiled metal handle on them. Each oven represents a different temperature range. A two oven AGA model has a simmering oven, and a combo baking / roasting oven. A three oven model has separate simmering, baking and roasting ovens. A premium four oven model has a warming oven that the other models don’t, as well as an additional hot plate on top for warming. Around 2013, AGA introduced a five oven model, which expands on the four-oven model with the addition of a slow-cooking oven. Older model AGA Stoves needed to be installed as they required a flue or a chimney. No extractor fan was needed, as cooking smells from the ovens went straight out that flue. (One learning curving that some cooks noted was that this made it harder to know when food in it was cooked by the smell.) Newer model AGAs no longer need to be specially installed, or require flues. Models powered by coal, the original fuel for the stoves, are no longer made, but still running in some homes. 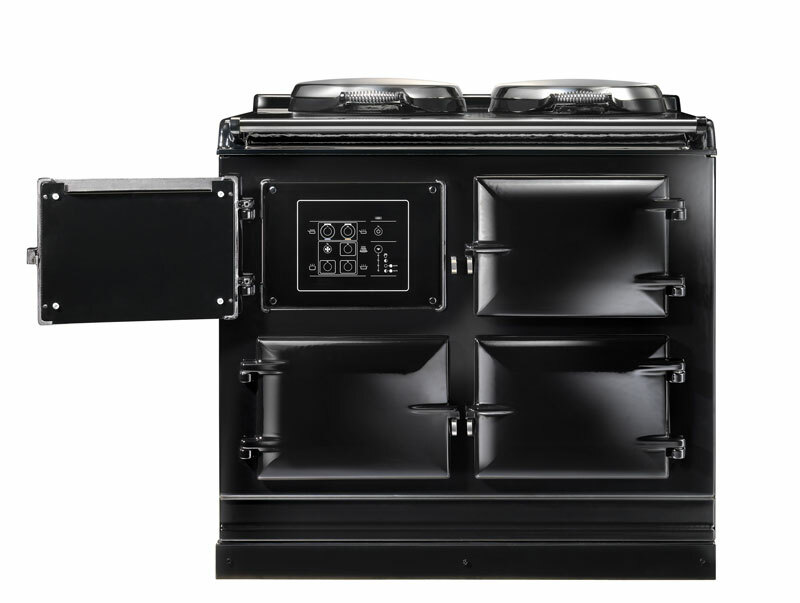 As of 2010, you could purchase AGA Stoves that ran on electricity, diesel (oil), natural or propane gas; you could also get dual-fuel versions. AGA fans argue that an AGA Stove replaces a lot of other household items: an AGA, they say, can dry clothes, toast bread, heat the room it is in, replace slow cookers, and replace the need for an electric kettle to boil water. AGA owners use the stoves for a zillion other purposes as well, from drying out rugs and wet dogs, to keeping prematurely born animals warm. 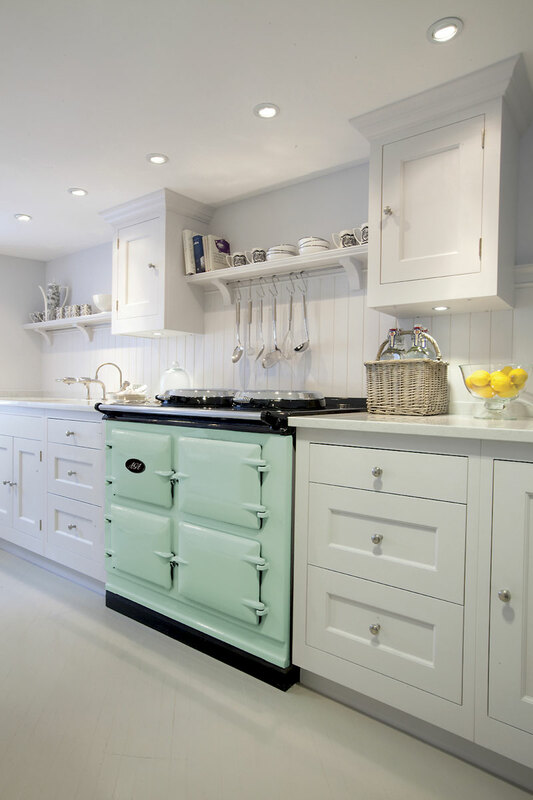 An AGA can’t actually heat an entire house, as some believe — that is confusion with the ‘Rayburn’ and ‘Stanley’ makes of stoves. It will, though, warm the kitchen, and some older pre-1980s AGA Stove models did have a boiler inside so they also supplied the hot water for your house. The cast iron castings for the AGA Stoves are made in Coalbrookdale in Telford, Shropshire. The pieces are coated with vitreous enamel at a factory in Ketley, 10 km (6 miles) away. AGA Stoves can be expensive to purchase. Some commentators feel that they are synonymous with country living for the type of well-off people in England who live in “listed homes.” For them, the word AGA is shorthand for a lifestyle, and a class. 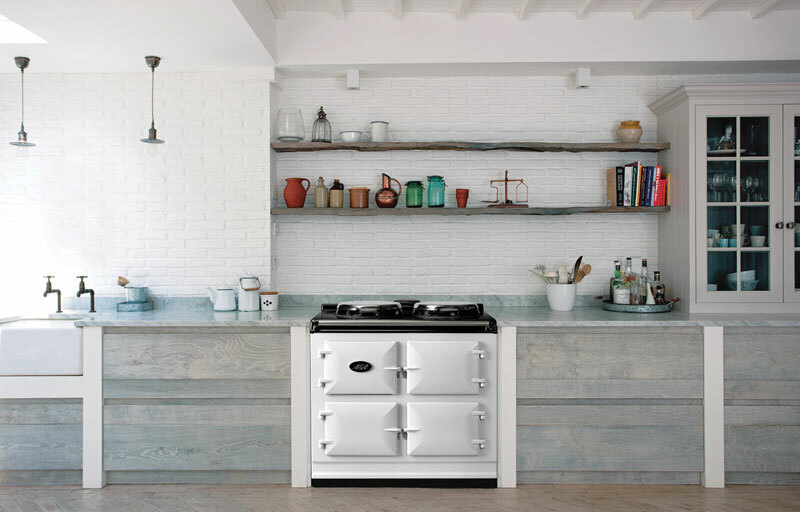 AGA devotees brush off any criticism by pointing out that AGA are not meant to be disposable stoves like many people buy today and go through several of. “The cast-iron ovens of an AGA cooker are gentle on food and lock in moisture, flavour, texture and goodness, meaning the food you serve tastes delicious. Heat within the ovens comes from all surfaces simultaneously, ensuring a kinder cooking process without the fierce, drying direct heat that is present in the elements or flames of other types of cooker…”  AGA Sales Booklet. AGA Total Control. 2011. Page 23. There is a learning curve, because there are none of the finely-demarcated heat control dials that modern cooks are now used to. The top “burners” are referred to as “heating plates” or “hot plates.” For most cooking with an AGA, you are meant to use the ovens instead of these plates. “A sales person showed up with food, and pans, and spent hours showing me how to use it,” she says. She learned how to start food on the top boiling plate, then move it into ovens of varying temperatures. The results were sublime. Made entirely of cast iron, the AGA literally radiates heat. She found that food could be left unattended for ages, and would always be moist, never dry. Slow-cooking was a strong point: Soon she was making supremely tender roasts, complex reductions, mouth-watering stews. Multicourse dinner parties were no problem. Gitajn could stuff four or five pans into each 1.5 cubic-foot oven, and the cooker could handle turkeys of up to 28 pounds. It wasn’t long before Gitajn was as devoted to the AGA as its illustrious fans — Jamie Oliver, Sting and Prince Charles, to name but three.” Balkissoon, Denise. The AGA: Cooks’ favourite cooking contraption. Toronto: Toronto Star. 26 November 2010. 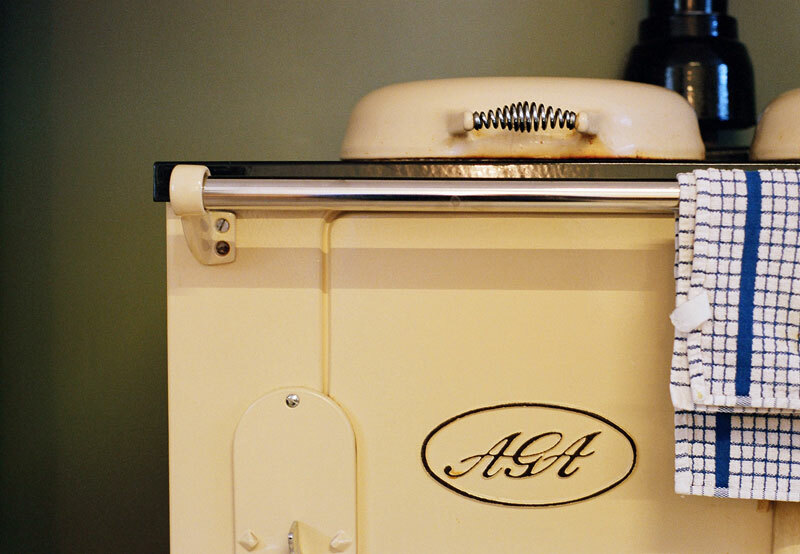 There are dedicated websites where AGA owners and fans share stories about their AGA Stoves. “AGA owners around the world bond online, too. ‘What other cooker has email discuss groups dedicated to it?’ asks Toronto’s Janet Ballantyne, who has chatted with international AGA heads on two Yahoo discussion groups, Posh Nosh and AGA Lovers. Conversations range from general cooking tips to emergency power supplies.” Balkissoon, Denise. The AGA: Cooks’ favourite cooking contraption. Toronto: Toronto Star. 26 November 2010. Traditionally, AGAs ran all the time, non-stop. Electrical models which debuted in 2003 were programmable to go to “sleep” in between uses, at night, and when you were on holiday, so that the burners didn’tt need to be on 24 hours a day. The interfaces for this programmable element were the first dials of any sort to appear on an AGA. Called the “AGA Intelligent Management System (AIMS)”, the consoles could be retrofitted to older electric AGAs. Some electrical AGA models, particularly the first electrical ones, could be expensive to run if electricity costs are high in your area. 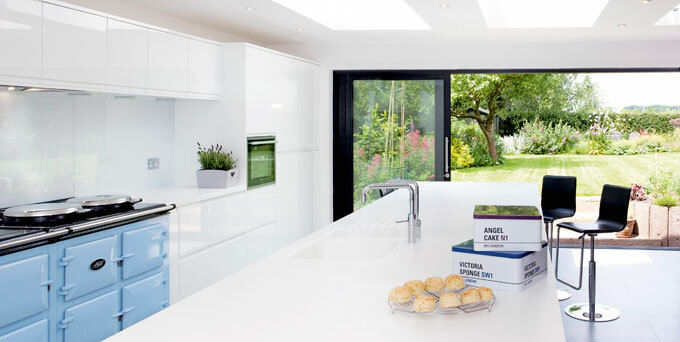 The AGA company points out that electricity consumption can be reduced through use of the AIMS module, and that some AGA electrical models (such as the 30 amp AGA ) can store electrical power during cheap-rate hours for use later. Oil models can use 40 litres of oil a week. In the early 2000s, an EU directive for lower sulphur in oil fuel caused oil-fuelled AGAs to cake up with soot because the process for lowering the sulphur increased the “char value” of the oil. Additives can be put in the oil to compensate. AGA has attempted to address the question about energy usage and costs and producing detailed breakdown tables for some models. See their web site page on AGA Running Costs. (Link valid as of April 2016). AGA emphasizes that its stoves are “heat-storage cookers”, which though they use energy to heat up, then use radiant stored heat to do the actual cooking. AGA fans argue that because an AGA Stove replaces so many other appliances (toasters, kettles, clothes dryers, radiators in kitchens, etc), and lasts forever, that the energy usage figures don’t actually reflect the stove’s “footprint.” They also point out that electric ones could be fuelled by solar or wind power. A 2011 model, “Total Control”, came with the ability to heat up far more quickly than previous models. It could be ready for frying in 8 minutes, and baking in 35 minutes. It had a hidden touch screen panel that allowed various compartments of the stove to be turned on and off separately, giving the owner more flexibility. Previously, more traditional models could require up to six hours of warming time before they were ready for use. In 2014, AGA announced the release of “AGA City60” slimline AGAs that were 60 cm wide, the same width as conventional ovens, for £4,995. The goal was to create AGAs that urban customers could fit into their homes and in particular, into standard-size spaces for stoves in ordinary kitchens. The stoves were electric and programmable. Each stove had one hot plate on top, and two stacked ovens underneath. Dalén was blind, having lost his sight in a acetylene tank explosion ten years earlier in 1912. Despite this, he remained Managing Director of the AGA Gas company. Dalén felt that stoves of the time were poorly designed, and wanted to invent a stove that made cooking simpler, a project that he worked at off and on in his spare time. The first model that he released commercially had a heat source, two large hotplates and two ovens, and was coal powered. AGA Stoves were introduced into the UK in 1929. Production in Sweden was discontinued by the AGA company in 1957. “So where is the campaign against AGAs? There isn’t one. I’ve lost count of the number of aspirational middle-class greens I know who own one of these monsters and believe that they are somehow compatible (perhaps because they look good in a country kitchen) with a green lifestyle. The campaign against AGAs – which starts here – will divide rich greens down the middle.” — George Monbiot. This is indeed a class war, and the campaign against the AGA starts here. Manchester: The Guardian. 13 January 2009. “Let us correct the Monbiot prejudices. 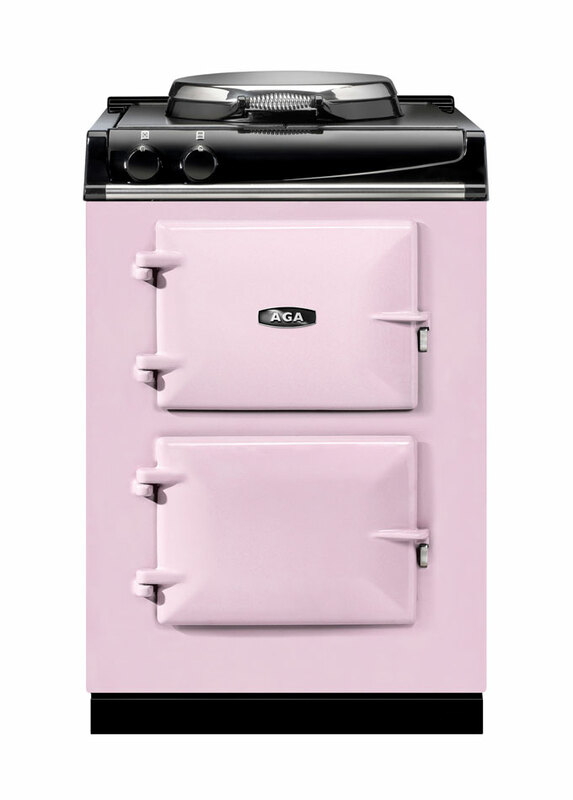 About 70 per cent of a new AGA is made of wholly recycled materials – mostly scrap-iron, from retired drainpipes and manhole covers to the prose of Guardian columnists. What’s more, a properly maintained AGA will last for decades: on average, the lifetime of five conventional cookers, in all their corroding, toxic landfill. If you take full advantage of an AGA – much nonsense arises from folk who have inherited one and simply cannot fathom cooking without knobs and dials – it can send quite a few other electric devices into deserved retirement. An AGA is a heat-storage cooker and the secret is to use the ovens as much as possible, using the hotplates only for rapid boiling of, say, green vegetables. If the covers are left up all the time and the cooker ignorantly used, untold heat is wasted and bills will indeed be astronomical.” — MacLeod, John. A Real AGA Saga, Range of Adventures. An AGA cooker is almost like a member of the family. London: Daily Mail. 16 January 2009. AGA Total Control five-oven, blue. Many designers prize AGAs for their clean lines. AGA stands for Aktiebolaget Gasaccumulator. Aganomics: The guide to AGA home economics. 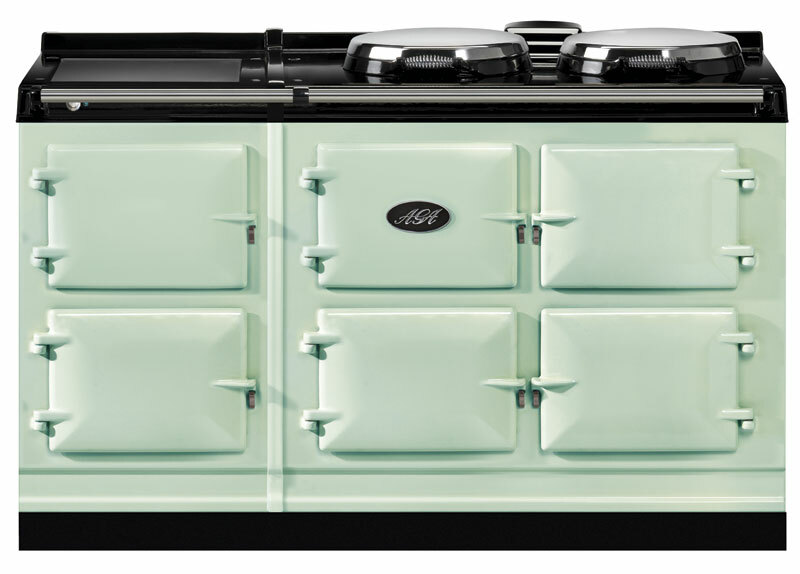 AGA Rangemaster Group plc. July 2009, Version 2.0. George Monbiot. This is indeed a class war, and the campaign against the AGA starts here. Manchester: The Guardian. 13 January 2009. AGA Dual Control page on AGA website. Accessed April 2016. Roberts, Anna. Britons are obsessed with kitchen gadgets, survey finds. London: Daily Telegraph. 27 July 2014. AGA Press Release.The electric AGA Dual Control. AGA press office. June 2013. AGA Cooker. http://www.aga.com/web/web2000/com/wppcom.nsf/Pages/History_AGAcooker?opendocument. Retrieved February 2010. AGA History. http://www.aga-ranges.com/aga/history.asp. Retrieved February 2010. AGA cooks up a profit after a shaky recession. Management Today Magazine. 27 August 2010. Laven, Rosie. AGA suffers as property slump cools spending. http://business.timesonline.co.uk/tol/business/industry_sectors/consumer_goods/article4976618.ece. London: The Times. 20 October 2008. Lonsdale, Sarah. Green property: are Agas off the boil? : They’ve been facing a bit of criticism, but are Agas really that environmentally unfriendly? London: Daily Telegraph. 24 November 2009. Lowery, Adrian. AGA launches City 60. London: Daily Mail. 23 August 2014. Mcdermott, Kerry. AGA turns to China to heat up trade as cooker falls out of favour and profits drop. London, Daily Mail: 25 August 2012. McGrath, William: A home with an AGA cooker can use less energy than one without. Manchester: Guardian. 16 January 2009, page 37. Miller, Wendy. Cold comfort in AGA sAGA : The ‘wrong kind of oil’ is clogging up our AGAs, says Wendy Miller . London: Daily Telegraph. 18 January 2010. Smith, Julia Llewellyn. My AGA love affair is cooling. London: Daily Telegraph. 20 March 2010. Wallop, Harry. New generation AGA: turns on in 8 minutes, by iPhone. London: Daily Telegraph. 17 May 2011. Woods, Judith. Is this the end of AGA’s saga? : As AGA reports declining sales and job cuts, we must save this symbol of our heritage. London: Daily Telegraph. 15 January 2009. 1. ↑ AGA Sales Booklet. AGA Total Control. 2011. Page 23. 2, 3. ↑ Balkissoon, Denise. The AGA: Cooks’ favourite cooking contraption. Toronto: Toronto Star. 26 November 2010.